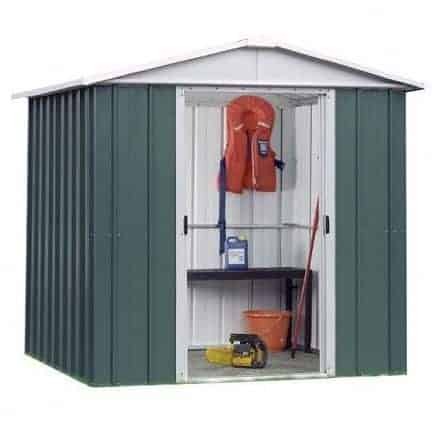 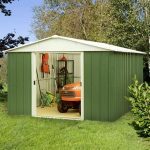 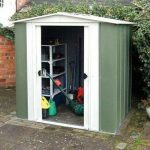 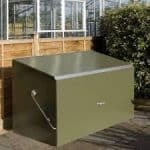 The 6.6 x 4.4 metal garden shed benefits from an excellent apex roof, which allows you to install tall shelving if you wish. 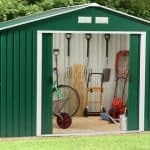 Inside the shed you have a building that is covered in hot dipped galvanised steel. 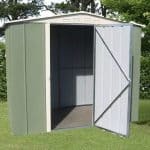 Sizeable sliding doors enable easy access, and there are high eaves, which allow you to enjoy maximum headroom. 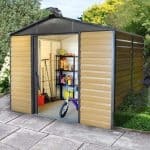 The entire building is covered by a handy 10 year anti-rust guarantee, for your continuing peace of mind.